The Singing Wells Project completed a succesful trip yet again and this time the focus was on Uganda. 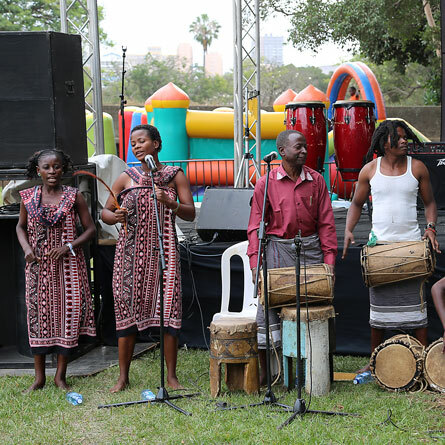 The Singing Wells project, now in it’s 4th year, is a partnership between Ketebul Music and Abubilla Music Foundation, which aims at preserving East Africa’s cultural music heritage now and for the future. 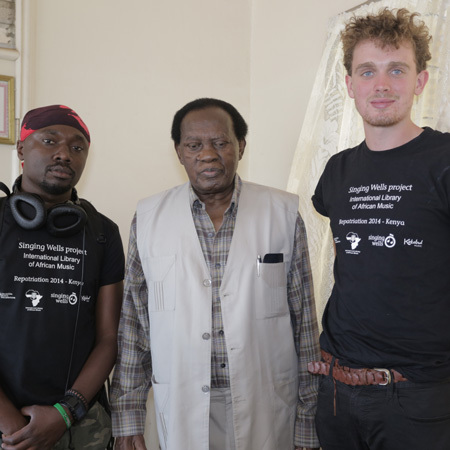 The journey to Uganda began on the 28th of November, 2015 when the team which included, Tabu Osusa, Founder, Ketebul Music Jimmy Allen, Founder Abubilla Music Foundation , Steve Kivutia, Patrick Ondiek, Hunter Allen and Nick Abonyo assembled in Kenya and flew to Uganda in the quest to rediscover the Lost Royal Drums of the Buganda Kingdom, the entenga drums. 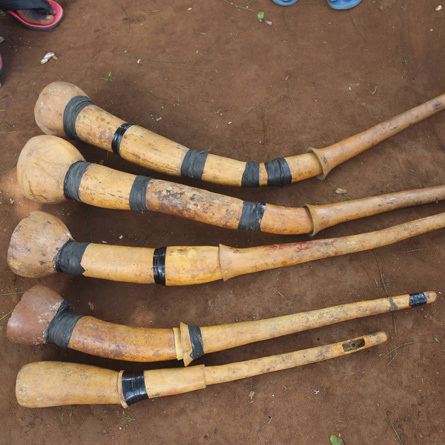 Along with flutes, trumpets, strings and the xylophone, the entenga were part of a set of instruments used by palace musicians of the Buganda Kingdom whose job was to entertain the Kabaka (Baganda King). 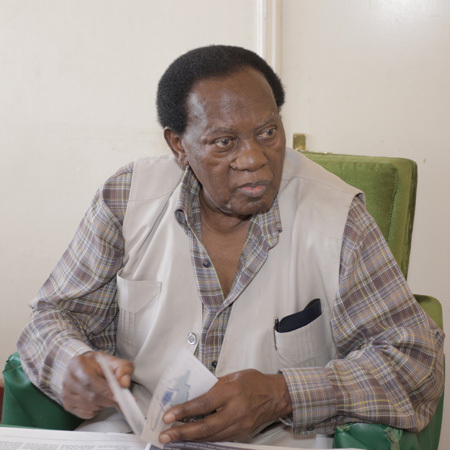 From an interview with Musisi, the last surviving drummer who played in the palace, we learnt that the Kabaka in the early 1960’s loved the entenga drums so much that he had the drummers play every morning at 3am. He felt that the drums were so perfect, that this was the only time of the day when it was quiet enough to appreciate them fully. This music largely died when the Buganda palace was attacked and destroyed on May 23-24 1966. 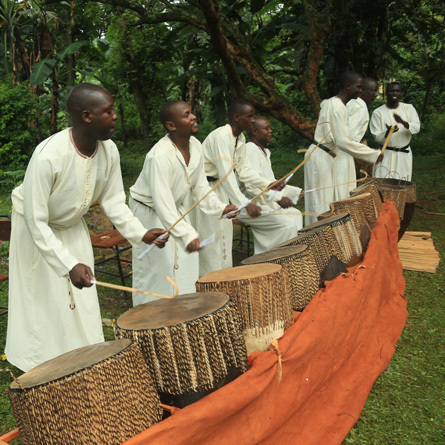 The Kabaka fled, the musicians were disbanded and the drums as well as other instruments destroyed. Thereafter the entenge were considered dead. 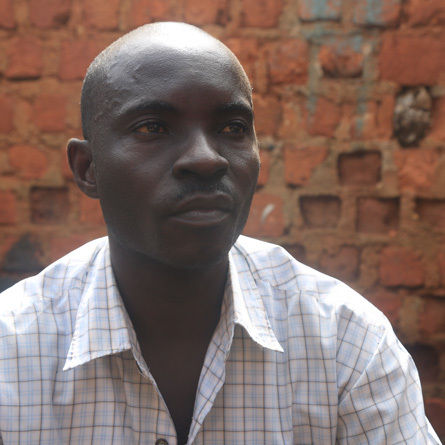 That is until we discovered that Livingstone Musisi, who was 16 when the palace was destroyed, was alive and well in his home village. 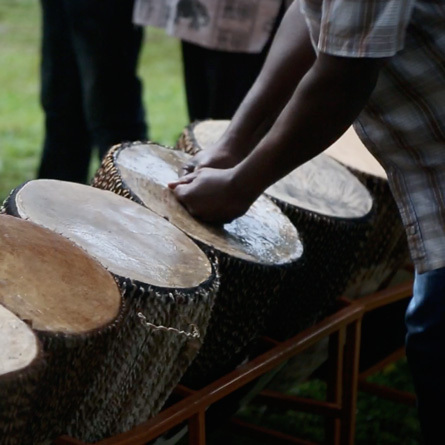 In 2013, encouraged by the works of James Isabirye, a lecturer at Kyambogo University in Uganda, as well as our partner for the Singing Wells project in Uganda who has been actively reviving the bigwara trumpets, we decided to revive the entenga drums. 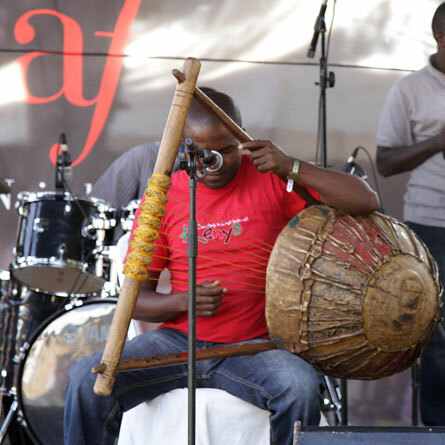 The Abubilla Music Foundation availed funds to James and Musisi and charged them with the task of assembling an entire set of entenga drums as well as putting together a team of musicians and train them in the almost extinct art of playing the entenga drums. 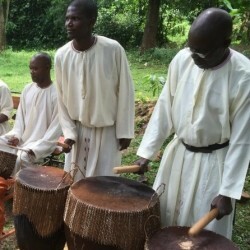 At the end of November 2015, armed with the recordings of palace musicians that were done by ethnomusicologist, Hugh Tracey, and thanks to the International Library of African Music, the Singing Wells embarked on our field trip which also included repatriating Hugh Tracey’s recordings to the last surviving palace musicians and institutions of learning in Uganda. All through the few days we spent in Uganda, we learnt a great deal. 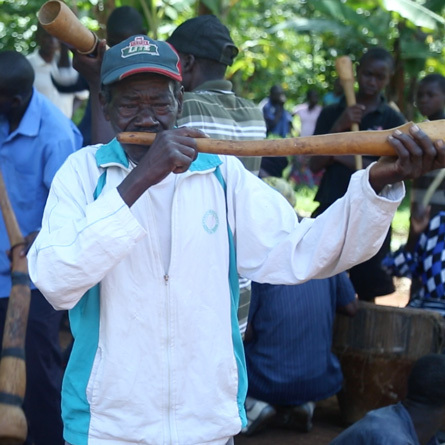 On December 1, we traveled from Kampala to Jinja to the village of Bukakaire to listen to the Bukakaire Bigwara players led by the last surviving trumpeter from the Busoga palace, James Lugolole. 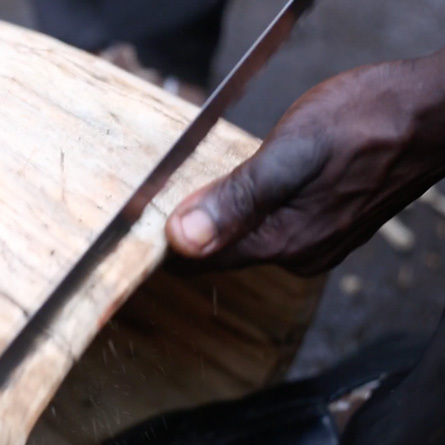 On the 2nd of December 2015, the team together with James Isabirye travelled to a shop called Ssebengwa Drum Makers, a shop run by a man called Abass Miriimu from the village of Mpampire. This village is famously known for their drum making skills. 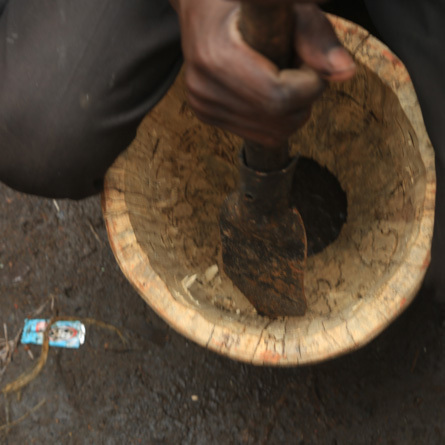 Abbas was a skilled drum maker of various Baganda traditional drums including the entenga. Step by step he took us through the drum making process which included preparing the wood and letting it dry in the sun for 24 hours, then cutting the dry wood to size, preparing the outside of the drum, the two stages of stringing the drum, drying and rolling the cow hide strings, all the way to the final stage which is tuning the drums. 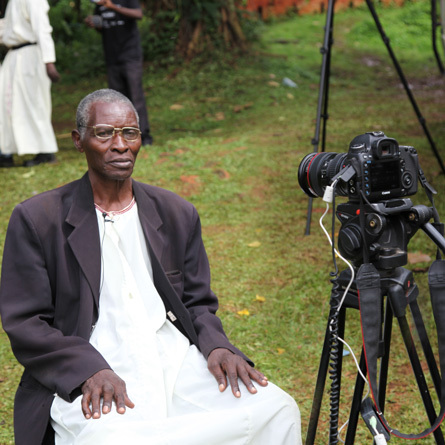 We then travelled to two separate villages to interview four other surviving members of the Kabaka’s Palace musicians. 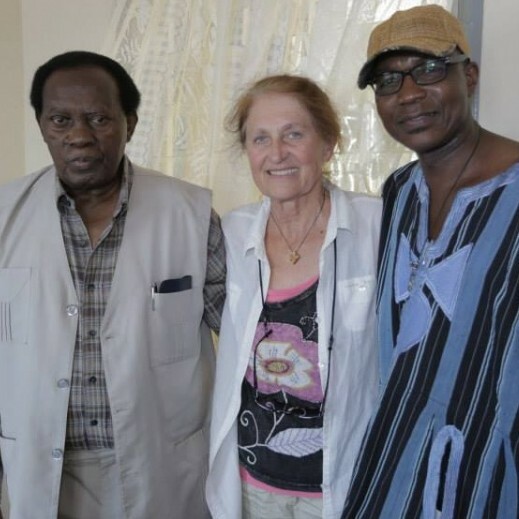 Richard Sewanyana, a flute palyer, Ssalongo Byakyalo Kakanzu one of the last surviving trumpet players, Ben Nsumbuga Ntabula a drummer and finally Kapolyano Kyobe a xylophone player whose father was killed during the attack. December 3rd was our final day in Uganda before we headed back to Nairobi. 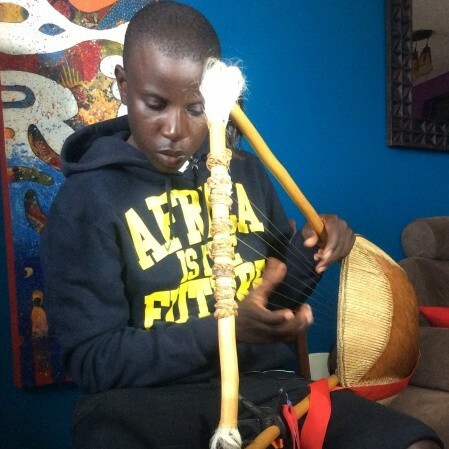 We identified a whole set of extra ordinary musicians from our 2013 visit to Uganda and invited them for studio recording sessions at the Ketebul Music Studio. More on the studio sessions soon. 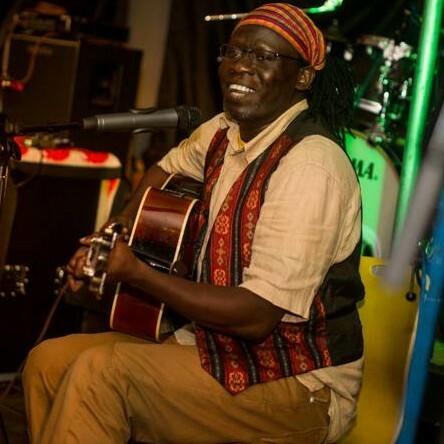 Ketebul Music wishes to extend our condolences to the family of Michael Kinyany who passed away on the 18th of December 2015. 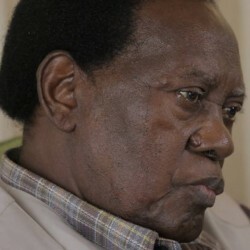 Michael Kinyany was a member of the group Lang Obiero that played benga and rumba in the 1950’s. Lang Obiero was among the groups recorded by ethnomusicologist Hugh Tracy in the early 1950’s. The group was one of the leading bands at that time and Michael was the youngest member. 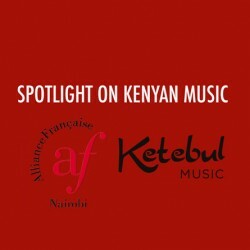 In August 2014, Ketebul Music in partnership with the International Library of African Music (ILAM) with the support of Abubilla Music Foundation repatriated some of these recordings which included Lang Obiero’s music. During that time, we met with and interviewed Michael and he gave us an insight on music in the 50’s and his take on music in general. 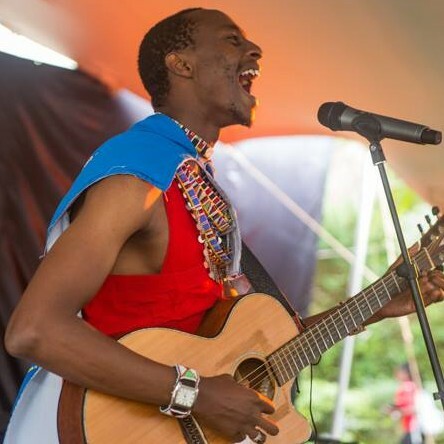 Kenyany was an astute business man and is a good example of how one can attain good education, be an entrepreneur and still be a great musician. 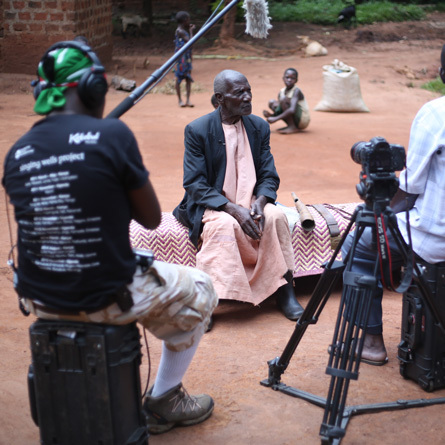 Ketebul Music will feature him in our book ‘Shades of Benga’ set to be launched soon. 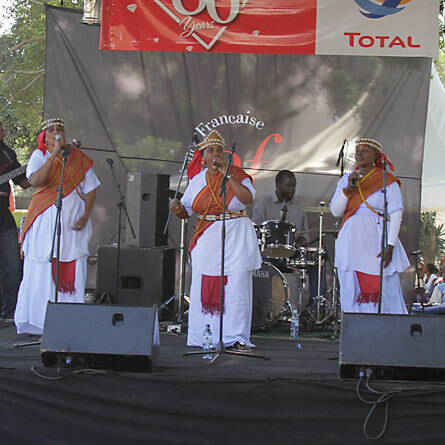 Ketebul Music artists Olith Ratego and Makadem performed at the premiere edition of Utam Festival last weekend, 29th of November 2015. 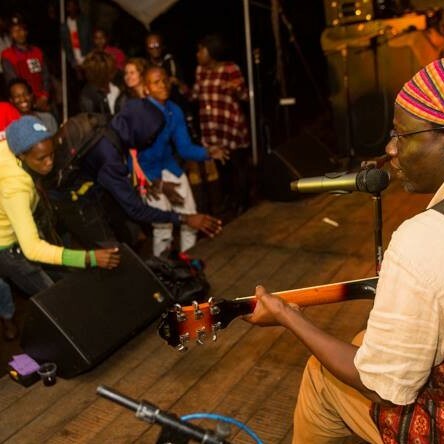 UTAM FESTIVAL is a Kenyan Annual Multi-Cultural Music Festival that gives a platform for global cultural integration using art. 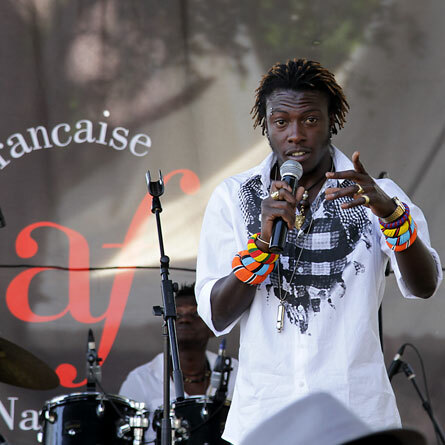 The aim of the festival is to showcase, expose and share East African arts and culture to the world. 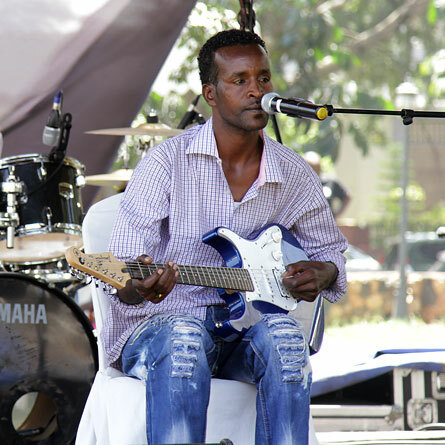 The event kicked off at 2.30 pm with a brilliant performance by Olith Ratego, who wowed the crowd with his singing skills. 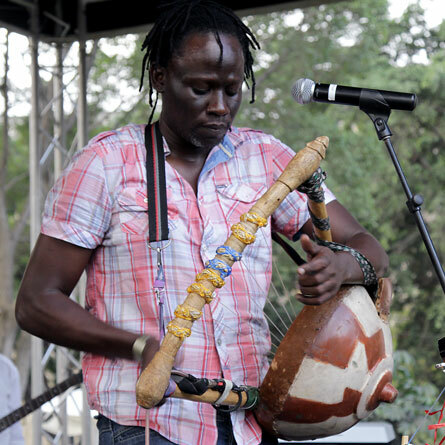 Olith played his signature home-made instrument known as the ‘kodo’. He told melodic stories in his music and invited the crowd to journey with him into his musical world. 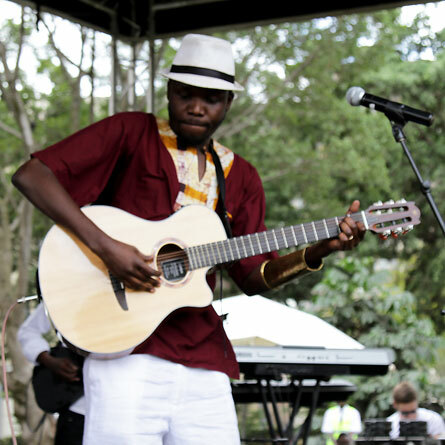 Makadem, also known as Mganga Mkuu, with his charismatic persona and powerful vocal delivery as always had the crowd on their feet. He not only sang to his audience but fully engaged with them throughout his performance. 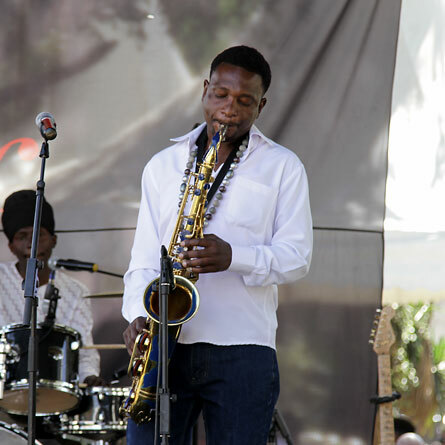 Several other artists from East Africa such as Ricky Na Marafiki, Wangechi, Sarakasi Dancers, Teto Tutuma, Tetu Shani, Giovanni Kiyingi from Uganda, Swahili Ally from Tanzania, and Ugandan Saxophonist Brian Mugenyi among others were also present and showcased their best. 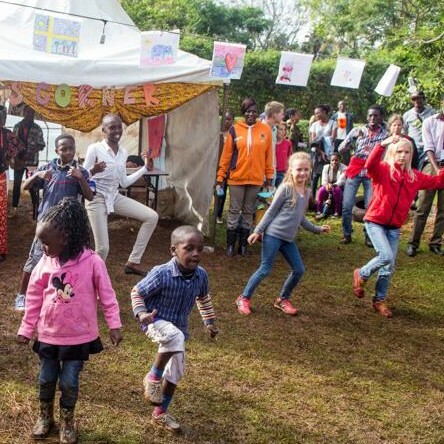 From poetry to music to dance… The festival was a blissful blend of art. 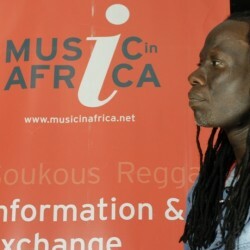 Music In Africa is an information and exchange web portal dedicated to the African music sector. 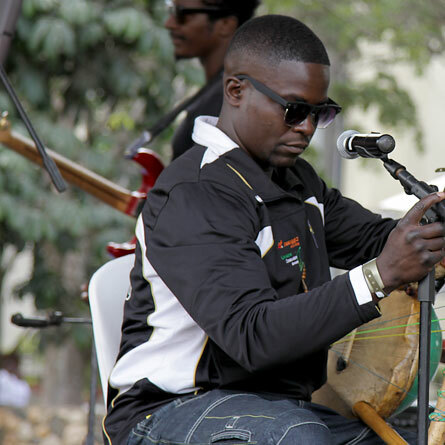 The portal responds to the need for reliable information and networking between music professionals in Africa. 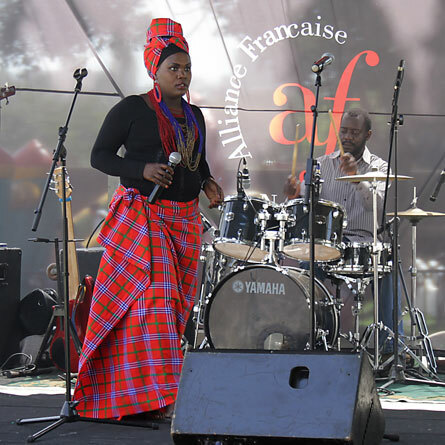 It also aims to contribute towards improved collaboration among artistes on an international level, as well as to enhance awareness of African music scenes. 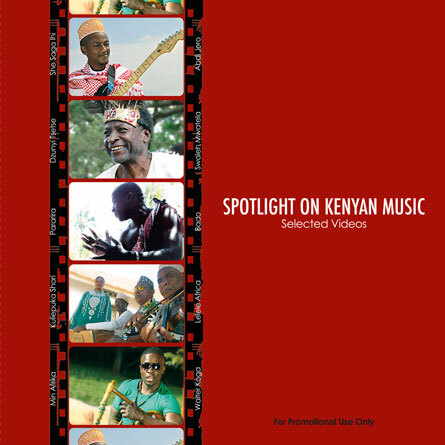 In an effort to adequately meet the needs of artistes in East Africa, Music In Africa has teamed up with Ketebul Music to create a video documentation on their challenges and needs. The focus will be on highlighting the various areas that the Music In Africa portal has and how it can benefit musicians and professionals working in the music sector. 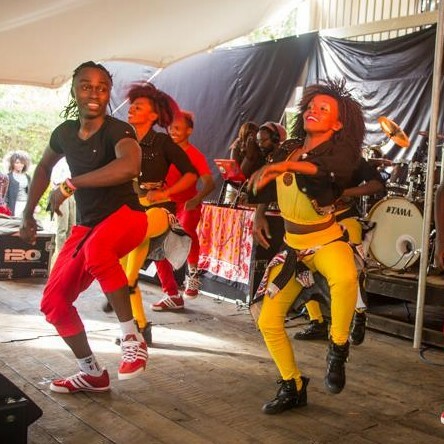 The Ketebul Music crew has been on the road from Nairobi to Dar es Salaam to Kampala, interviewing artistes and professionals in the East African music industry for the promotional video. The targeted artistes include Joel Sebunjo, Legend P, Akello and Giovanni Kiyingi from Uganda, Leo Mkanyia and Ben Paul from Tanzania and Makadem, Kidum, Avril and Habida from Kenya. 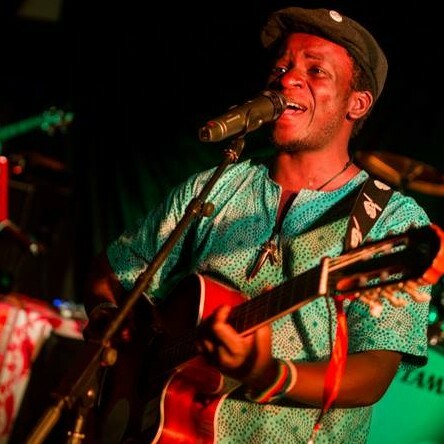 Joel Sebunjo is one of Uganda’s best young folk/world music artistes. 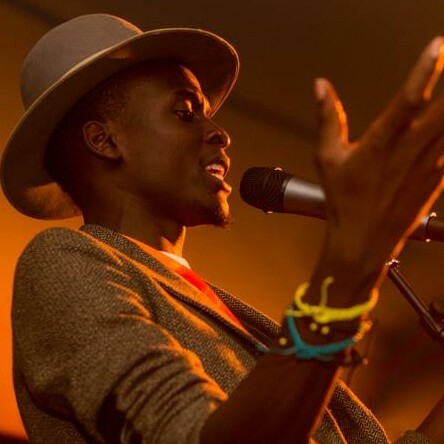 He is celebrated all over East Africa for his talent. 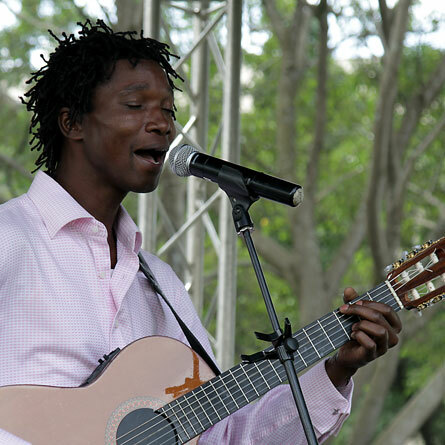 He has also traveled globally and performed alongside legendary artistes like Yossou N’dour, Salif Keita, Miriam Makeba, Oliver Mtukudzi and many more. 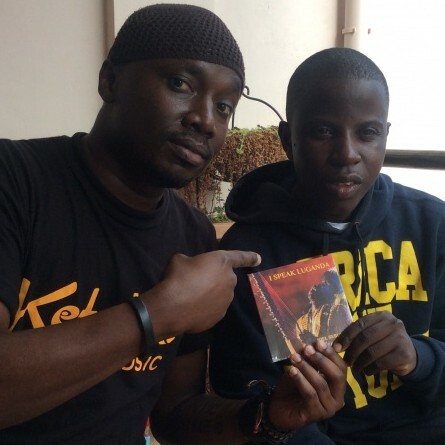 Stay tuned for updates from Ketebul Music and Music In Africa on the future of African Music! Meet Anyango, Nyar Siaya. The Nyatiti Diva from Japan! 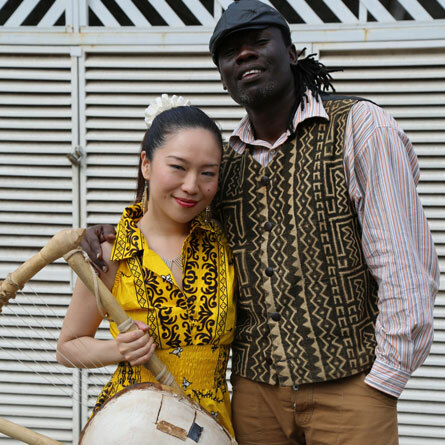 In 2005, a young Japanese lady by the name Eriko Mukoyama visited Kenya and spent close to a year in a village in Western Kenya learning how to play the nyatiti, becoming the first female nyatiti player in the world. 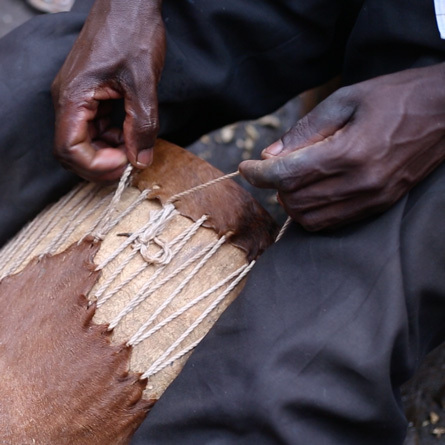 The nyatiti is an eight-stringed lyre of the Luo community. 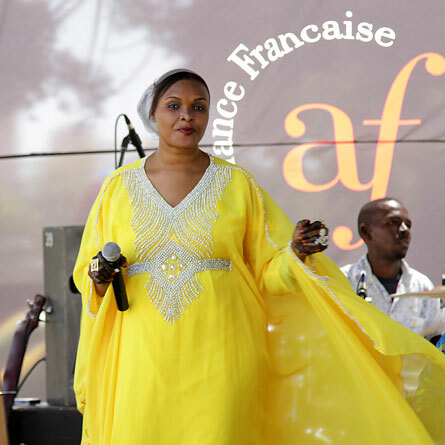 Today Anyango, as she is now known internationally, has mastered the nyatiti and plays at concerts all around the world. 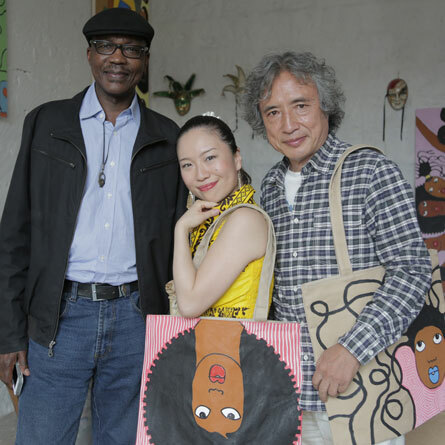 Recently the Japanese musician visited Ketebul Music studios. 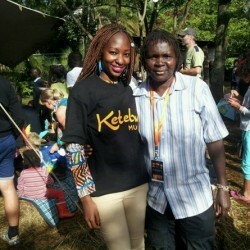 During her visit, Anyango signed a deal with Ketebul Music that will see the label release and distribute her music in the region. 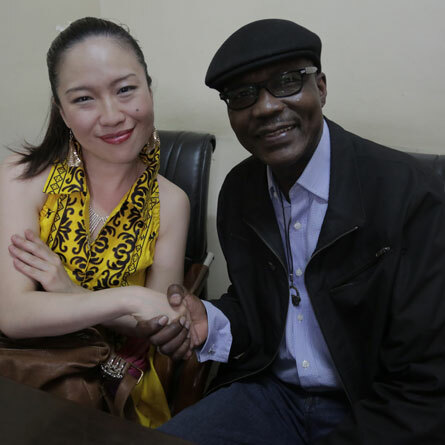 She also recorded a number of songs with Kenge Kenge and Makadem, which will be featured in a compilation album to be released by Ketebul Music. For those of you who do not know about this extraordinary artiste, she was born in Tokyo in 1981. While in her third year at the university of Tokyo, she decided to go to New York to study music. The day was September 11th, 2001. It was the day terrorists struck in New York and Washington. Her flight was cancelled and she had to return to Japan. 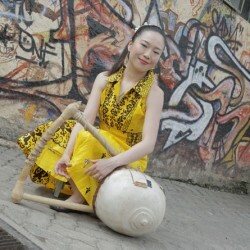 While in Japan, Anyango attended the Kenyan traditional concert in Tokyo and the music at the concert changed her life. She later joined an African band called Burukenge and spent a year touring around Japan. 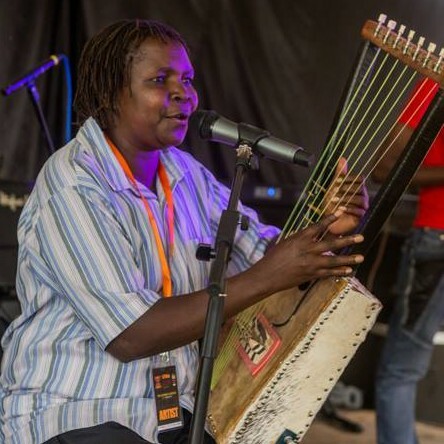 Her interest in African music led her to Kenya where she learned how to play the nyatiti under the instruction of the late nyatiti maestro, Okumu K’Orengo, from the village of Karapul near Lake Victoria.